— The dual-threat quarterback’s rushing numbers are down significantly in Riley’s pro-style offense, from 705 yards in 2014 to 324 this year. – Currently tied for second on Nebraska’s single-season receptions list, he has an outside shot at Marlon Lucky’s 2007 record of 75. – The former four-star recruit out of West Hills Chaminade averaged 77.4 yards per game before being slowed by an ankle injury in November. He and 6-foot-1, 240-pound back Imani Cross each have five touchdown runs this season. — Leads the team in tackles, and is tied for third in the conference in interceptions. – Named the Big Ten’s Punter of the Year despite an early-season ankle sprain. 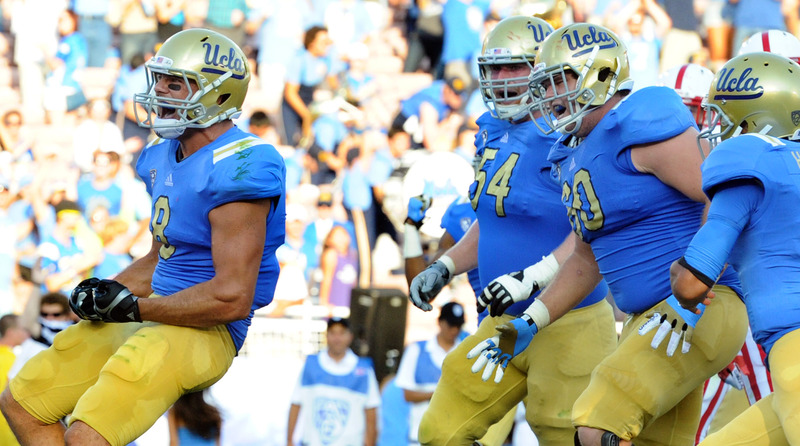 Line: UCLA opened as a 6.5-point favorite. Fun fact: Nebraska has sold out 347 straight home games at Memorial Stadium, a record that dates back to 1962. This entry was posted in Football and tagged first look, Jim Mora, Jordan Westerkamp, Mike Riley, Nebraska, Tommy Armstrong, UCLA football by Jack Wang. Bookmark the permalink. UCLA players have nothing to prove, the coaching staff does. Disagree. Even a lower tier bowl is a game…which will count in this year’s W-L record, set the tone for next season and give recruits one more look at the Bruins. Stanford didn’t act like last year’s Chicken Bowl was beneath them…look where they are now. I did not say this bowl was beneath our players. Our coaches, especially Mora and Mazonne, did not prepare the team well to beat SC. They are the weakest link right now. They must do a better job or we will continue to be in the chicken bowl every year.